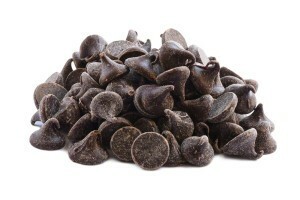 Our dark chocolate covered espresso beans are unapologetically indulgent. They cross over the line that separates goodness and greatness. Once you try them you'll know that its their greatness that earns them top spot in a category reserved for supremely decadent, intensely flavored treats. They're a wonderful way to pamper yourself or impress someone special. Dark Chocolate (Sugar, Chocolate Liquor, Cocoa Butter, Anhydrous Milk Fat, Soy Lecithin (An Emulsifier) and Vanilla) Coffee Beans, Gum Arabic, Corn Syrup, Sugar, Certified Confectioners Glaze. I’m not surprised that these are out of stock. I took some of these delicious gems into work and they were gone in minutes. Great flavor. They smell delicious too! They are a little slice of heaven! These little morsels are just fantastic and the bean is very tasteful! I would definitely buy it again. Absolutely habit forming! I have added them to my morning roasted nut mix snack for a wonderful dark chocolate/antioxidant kick. Yummy! Thank you, NUTSTOP. I’m not a coffee fanatic, but the first time I was introduced to chocolate covered coffee beans… well, does that count? I’ve tried both milk chocolate and dark chocolate and although milk chocolate usually wins hands down for me (not normally a dark chocolate fan) but combined with coffee beans? Dark chocolate is the way to go and these are as good as I’ve found from any source. Any order I’ve received from Nutstop has been packed well with cooling packs added. Haven’t received a bad shipment yet! The Dark Chocolate Covered Espresso Beans are wonderful! I always make sure I have some in stock in my cupboard. When I get down to less than half a bag, I order more. They are tasty, crunchy, and the dark chocolate is high quality. I highly recommend buying these espresso beans! I believe I am in trouble…I can have these deliciously addicting snacks delivered right to my door, And I don’t even drink coffee!!! Who knew I’d fall in love with espresso beans. Oh wait maybe it is the dark chocolate coating. Absolutely love these! The dark chocolate is creamy and the coffee beans are crunchy and delicious! Great dessert snack! We got these for our wedding favors. They taste great! We ordered a sample size and had our family try them to see if they liked them as much as we did, and they were a hit! Great taste and flavor. The dark chocolate compliments the caffeine punch of the coffee bean. The only minus is that the beans are maybe a little too soft and doesn’t quite have that really satisfying crunch when you bite down. Absolutely delicious! By far the best chocolate covered espresso beans I’ve tried. Perfect ratio of chocolate to bean. Has a great crunch. I 1st. Bought the milk chocolate coffee beans. [ love them great pick me up ] The dark chocolate coffee beans are a perfect mix with the milk C.beans.. I buy bulk and they seem to disappear very fast.. i need to set up my video camera…Ha Ha.. 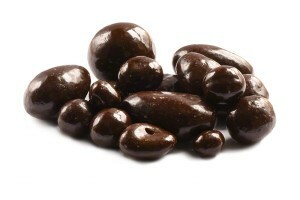 These dark chocolate covered espresso beans are super yummy! Not too sweet with just the right amount of dark chocolate. Love the crunch of the beans! I take a handful to work everyday in a baggie and it’s a nice little treat throughout the day. This is my second order and I also ordered extra for Christmas gifts this year. The price is right and it only takes a few days to get them after I place my order. I will definitely be ordering these again and again! Very nice – not to sweet or too strong of a coffee taste. I like to use them as a topping for vanilla ice cream. These are wonderful. very fresh and just the right amount of chocolate to espresso bean ratio. Will definitely be ordering these again. Love these – am addicted and have been ordering them two bags at a time. These dark chocolate covered coffee beans hit the spot. For those that don’t like things too sweet but still need a little shot of caffeine and aren’t into coffee, these are the way to go. Got my family hooked on them as they are a great pick-me-up and not too sweet. Get them almost every time I order. Best price anywhere – by far. Definitely the best beans EVER!!! Super great to give as gifts and the taste is out of this world!! Great quality! Big taste treat – love these! Purchased before and am back for more! Excellent product! Delicious! The price for 25 lbs made our decision. 🙂 Had to hide from husband or there’d be none left for gifts.